The ending of Fluffhead and the beginning of My Friend featured Trey on acoustic guitar. My Friend subsequently contained a Baby Elephant Walk tease from Page. 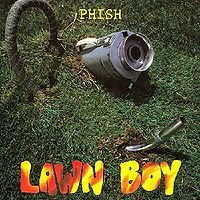 Lawn Boy was dedicated multiple times by each band member to Fish's parents, who were in attendance at the show. This Weekapaug included atypical, jazz-laced jams. Lengthwise featured Mimi Fishman on vacuum and band members parading around the stage with cheerleading banners proclaiming: “Winners PLAY HARD” and “WE WIN IN OUR GYM.” There was an unusually long break before the Fire encore. This show was about 40 miles from where I was going to college. 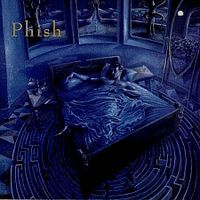 At this time Phish was huge at my college. Nectar was out and Lawn Boy was still a huge favorite. I honestly don't remember much about the quality of the music at these shows. I wasn't very critical at all. Just being able to see the band I listened to all day was good enough for me. I do remember some stuff about this show. First of all it was in a college gym. I thought that was pretty cool because my previous shows were in much larger more professional venues. I thought it was pretty cool when the banners came out. I was also kind of puzzled when Trey played acoustic. In my experience to that point they only played high energy ragers and I didn't want to hear anything mellow or slow. Mimi came out as well and I just figured she was at most of the shows. I didn't know Fish was from Syracuse and she wasn't traveling with the band. This was the first time I heard them play Highway to Hell ever and i was blown away. The reason for the long break before Fire was because they broke curfew and the school tried to kick them off the stage. So they played the encore with the house lights on. I thought that was pretty punk rock and respected them even more after that. I just wanted to add some detail about the signs during Lengthwise. 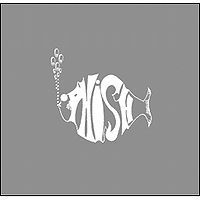 Around this time, as Phish's popularity was growing (maybe even exponentially), there was talk among people, especially newer fans, about the role of the Fishman songs: Was he poking fun at them? Based on the choice Bike, probably not, but Cracklin' Rosie...? His time was clearly exceptional to the rest of the show (almost like a really weird version of Drums->Space). I think the rest of the band took advantage of that during Lengthwise. First note that the signs were run back and forth across the stage behind Fishman, and well out of his sight (if he knew, he played it off well). In particular, the first sign that came out, and was out for a bit before the rest came out, said: ``When you're through playing, you're through". In the context of the gym, and the other signs (``We win in our gym"), this seems normal. 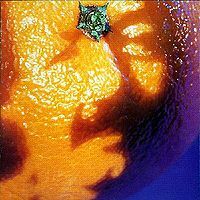 But mixing acid and newcomers, one can see how the band could be punking the crowd (and even Fishman) here: ``When you're through playing, you're through" might seem like the band was also questioning Fishman's time, and maybe they are on the verge of kicking him out of the band (the horror!) b/c of his insistence on doing this stuff. 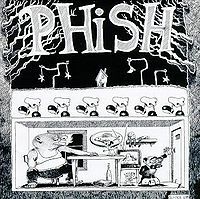 If so, see one of Fish's crushing comebacks during Catapult on 7/16/94. That, of course, could be wrong, but it's always fun to speculate (harmlessly). This is the only show at the Cotterell Court, 58th of the tour and a homecoming of sorts. With Fish’s parents in attendance, there is a light mood in their playing and the magic of the Midwest tour continues. Good recording and no real sound problems for Paul tonight, maybe a few spots of feedback here and there. Solid Jim opener to get things rolling, then a double shot of Rift material with a good Weigh and Sparkle. They did that the other night in Columbus as well. Melt was good, Fluff was ok for the most part, though the Clod was a little rough. Fun transition as Trey picks up the acoustic during the end jam of Fluff and leads right into a good My Friend. Divided and Guelah also fall into the good category tonight, maybe a few off notes here and there. Great dedication to Fish’s parents before Lawn Boy with full on stage banter, definitely check this out. Chalk Dust makes for a rocking closer to this pretty solid first set. Bam! Golgi rocks the opener position of second set right into the ticking of Maze. Page is on fire tonight and he gets the bust-out next with a rare Curtis Lowe. It was a bit rusty, but not too bad. Continuing with Page, Ice was pretty average for this tour. Paul was super fast as Fish pushes the beat, Page digs in for a great piano solo. Then the Balls come out… Mike’s was good with kind of a weird jam at the end. The Simple lick is kind of there, but the last few Mike’s jams have been disjointed and a bit aimless. Hydro had it’s usual roughness and I’m sure some sort of stage antic were going on. Weekapaug also had a weird jam and the end was not smooth. HYHU brings Fish out for a special moment with Mimi on the vacuum while he sings Lengthwise. Coil goes back to the late set spot and this one is pretty good. Page shines again as usual to bring this set to what I thought would be a close, but Highway makes it’s next appearance and rocks the house in a double encore feel even though its still rusty. Fire is the actual encore tonight and rocks just as hard. This kind of looks like a Mike show on paper, but Page really shined tonight and he deserves the four stars, maybe more? Nice personal feel to this one overall with the parents in attendance. Friend of the devil tease in Mike's?